Fast, secure, native-like — these are just some of the key reasons why more and more companies are adding Progressive Web Apps to their tech solution. STRV has been closely monitoring the rapid-fire evolution of PWAs over the last two years and can attest firsthand to the many benefits they present to businesses, from startups to the Fortune 500 elite. These lightweight, feature-heavy apps are quickly changing the landscape of web development and providing companies with a better opportunity to widen their user base. We believe PWAs are on their way to becoming even more mainstream. After all, many industry heavyweights, from Amazon to Facebook, are already onboard. Last spring, Tinder — with the help of STRV’s web team — rolled out its own PWA, Tinder Online, to rave reviews. PWAs are basically just web apps that have the look and feel of native apps. They’re called “progressive,” because anyone can use them regardless of their browser choice. They are responsive. They don’t need to be downloaded from an app store. They are safe. They don’t take up much space (unlike many native apps). Oh, and they’re free to install on your phone, tablet or desktop. Danny Kijkov, our frontend platform expert, is a big PWA devotee. While native apps will always have clout, Danny acknowledges, progressive web will undoubtedly help strengthen a company’s market reach, especially those on a limited budget. Your goal should be to get as many users as you can, and with web, you can just basically get more people. Web apps — they don’t necessarily need to be progressive — are accessible everywhere. And for countries with poor Internet connections, progressive web is the best option for reaching more users. Web is also sometimes a better option for startups than mobile apps. We’ve seen a lot of startups ask for only an iOS app, causing them to lose out on the Android market. Web allows companies to reach everyone, regardless if they have iOS or Android devices. Native apps take up a ton of space. A lot of people, even though they would love to use these apps, just don’t have enough space on their phone, so they cannot install them. That’s not a problem with PWAs, which only take what they really need, making them faster to download. 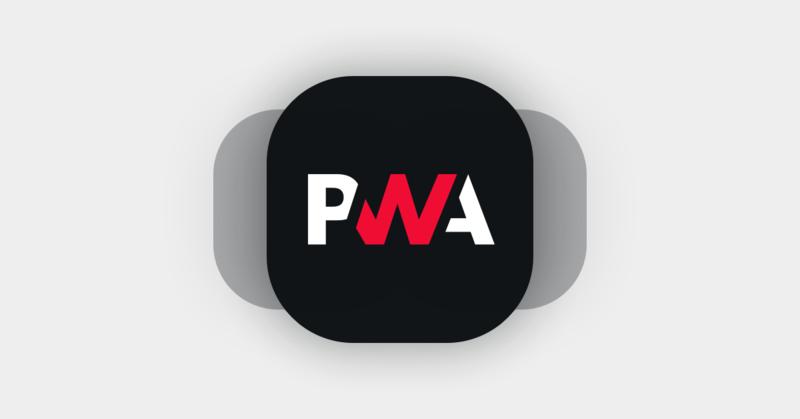 A lot of people are downloading PWAs, because they know that they can use them even without data or an Internet connection. What’s more, these apps will even work when the server itself is dead. Users are not losing their content. They’re not losing anything, and this is all so much better for conversions. Not all apps are actually accepted by app stores, which have a lot rules and restrictions when it comes to publishing. There are no restrictions on the web. You are the one who is in charge of the whole web process. You can also update your features immediately. If you want to update your mobile app, you need to go through the app store’s review process. It could take days. (It used to take weeks.) Still, it requires some time, and there is a chance it could be banned or rejected. But what if there is something really bad in your code, and you need to change it instantly? You can make changes on the web any time. It’s just easier. Another selling point for native apps are push notifications. Push notifications allow you to interact with your app pretty easily and provide a really amazing user experience. Progressive web now provides this functionality as well.